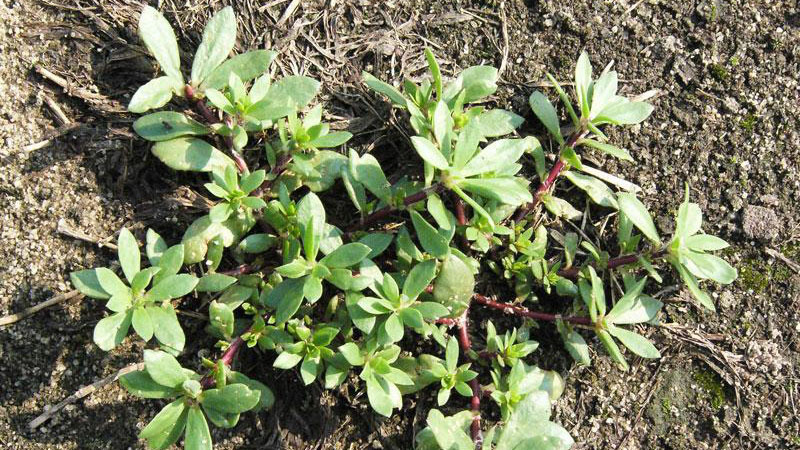 Pink purslane is a summer annual weed that can reach 8 inches in height. The leaves are thick and fleshy, arranged alternately on the stem, and low and spreading along the ground. Leaves are usually 1 inch long, and rounded with a slight point at the end. 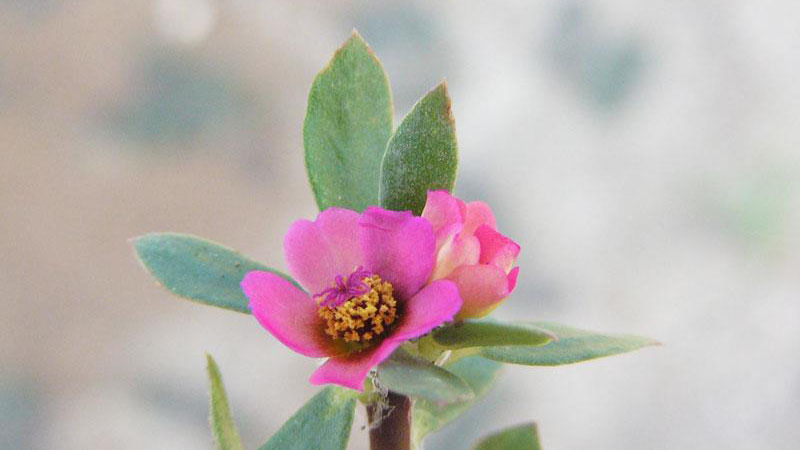 The flowers are bright pink, and have five petals. The plant blooms in late spring and early fall. 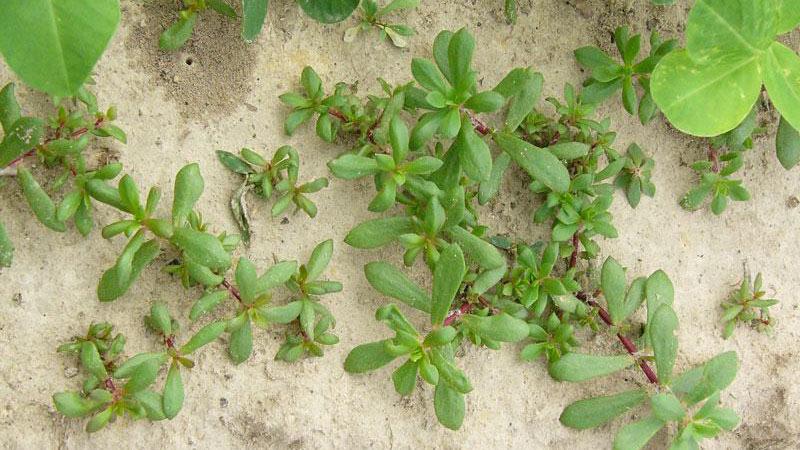 Pink purslane is usually found in dry, sandy areas. Figure 1. 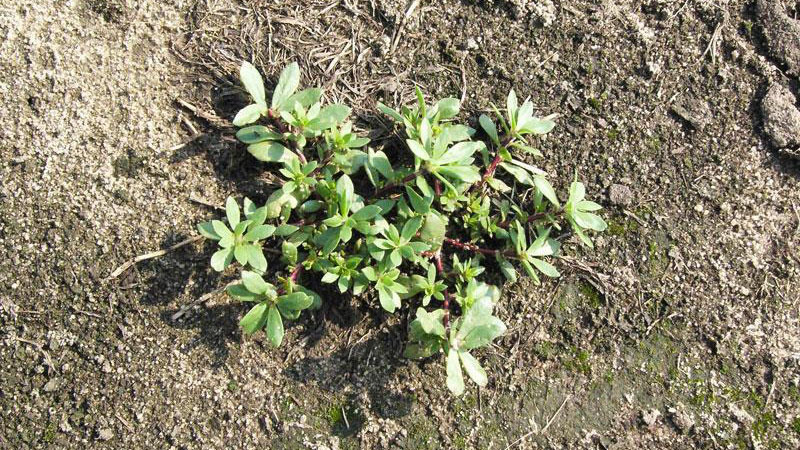 Pink purslane growth habit. Figure 2. 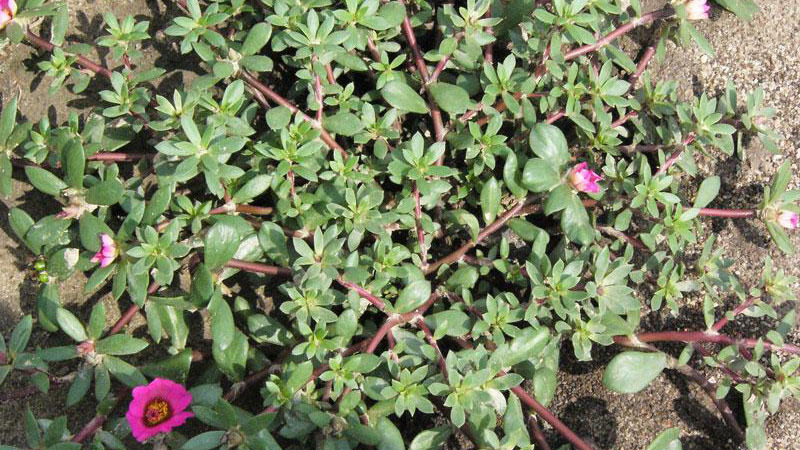 Pink purslane growth habit. Figure 3. Pink purslane growth habit. Figure 4. 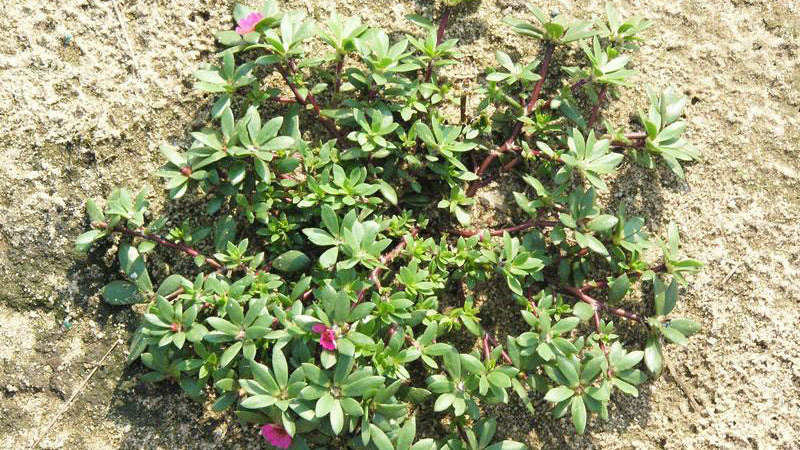 Pink purslane growth habit. Figure 5. 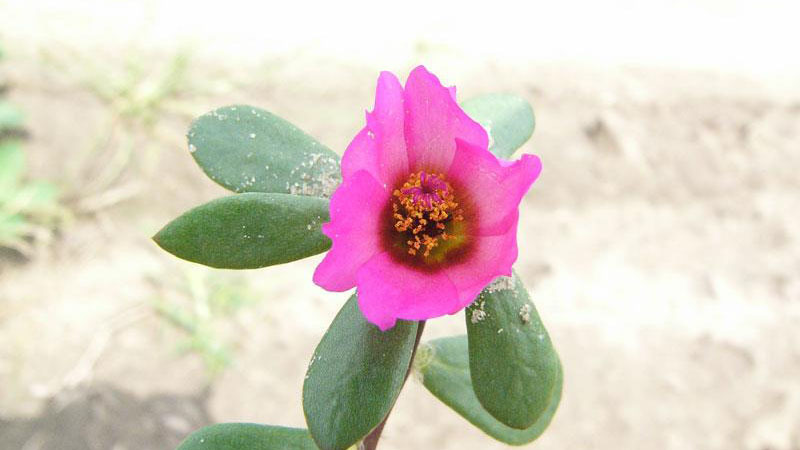 Pink purslane flower color. Figure 6. Pink purslane flower color. Figure 7. Pink purslane.